This Truck is the Real Deal. 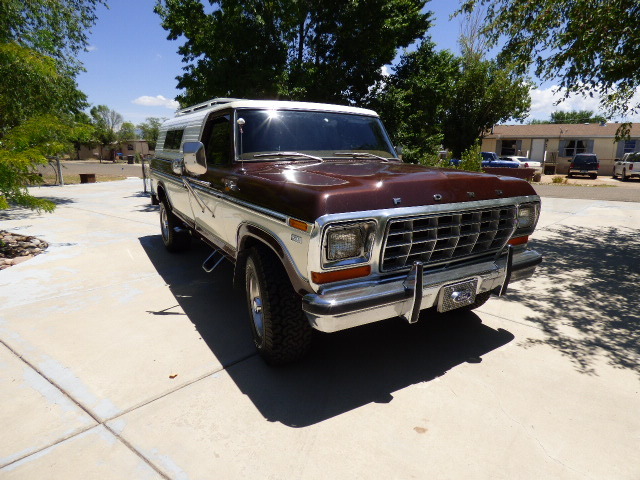 A Genuine 1979 Ford F350 XLT Lariat Super Camper Special. This is a First Year of the Lariat Package and the last year of the Super Camper Special (single rear wheel F-350). The seller is the second owner and has had the truck roughly 20 years. Purchased from the original owner and this has been an Arizona Truck almost it’s entire life. Check out the pictures. This is an Extremely Well Kept and Well Maintained Truck. The drive-train is all original, as well as the Paint and Body. Never used as a “work truck”, this Truck has always been Someone’s Baby. Be sure to Scroll Down all the way so You can see all This Truck has to Offer. Newly added: 5 American Racing Outlaw II wheels and New 33X12.50 on 16.5 Upgraded BFG T/A Radial Tires. All New Lug Nuts and New Chrome Center Caps. See all pictures by scrolling all the way down. New tires and wheels are shown in “Extra Photos”. New Price! Just Reduced to $11,500 This one won’t last! Read this ad to see all this deal has to offer. 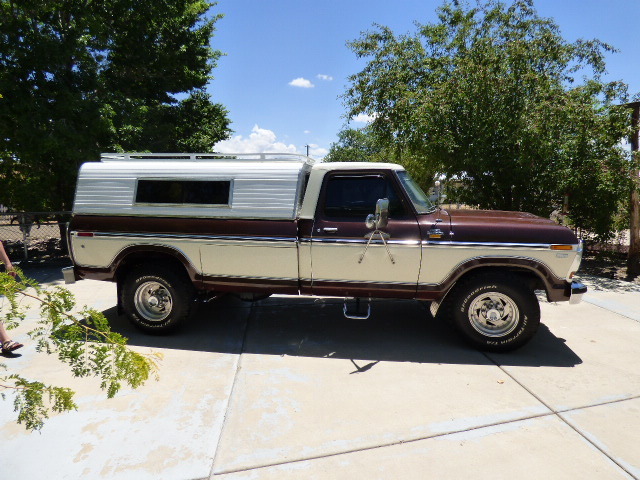 Factory Air Conditioning, Power Steering, Power Brakes, Dual Batteries, Heavy Duty Towing Package, Two-Tone Paint, 460 V-8, Super Camper Special Package, and lot’s More. Interior is in incredible survivor condition. Very clean and well taken care of. Factory slider rear window. Flex Steel Captain’s Chairs and Console Upgrade. Fully Carpeted with Additional Floor Mats. Factory stock 9.50 x 16.5 original spare enclosed in right side panel of truck bed (Factory Spare Tire Compartment-F350 Super Camper Special Only). Other wheel options are available and may be included if buyer is interested. HD Towing capacity. Books and manuals and wiring diagrams are all included. Fuel tanks have been flushed out and new in-dash fuel tank selector switch and new tank switch-over servo valve installed. All new gas lines and new electric and mechanical fuel pumps. Factory installed 5th-wheel wiring on this Super Camper Special. Original Tailgate Included in this Deal. Head Light Stone Guards, Front Bumper Guards, Auxiliary under bumper back-up lights, Mud Flaps with Anti-Sway Bars, Fold Down License Plate Step, Transmission Cooler. Also included with this deal is the Factory XLT Model Tailgate. This is a true survivor. Truck has original paint. For sale by second owner and he has an extensive and well documented history of the truck. The Mountaineer Camper is in excellent condition, like new. The truck is solid and well maintained. A rare example of a limited production F-350 that has not been ridden hard and put away wet. This is an opportunity to have one of those vehicles that has been such a useful treasure to the folks who owned her, they treated her like family! Very original and well maintained. Vehicle comes with lots of documentation. Dual batteries and all the other “Camper Special” amenities, all in excellent working condition. 4 Paint matched 16″ Factory Steel Wheels with mounted and balanced LT 235/85R X 16 E-Rated 10 ply Tires come with Hub Caps and Chrome Beauty rings. 2 Paint Matched (Rare) Super Camper Special Rear Wheels, mounted and balanced with matching 33×12.50 16.5″ tires, also with Chrome Hub Caps and Beauty Rings. Selling Assistant. Private Party Sale. Call or E-Mail me for an appointment. Thanks for Looking. This is a true survivor. Truck has original paint. 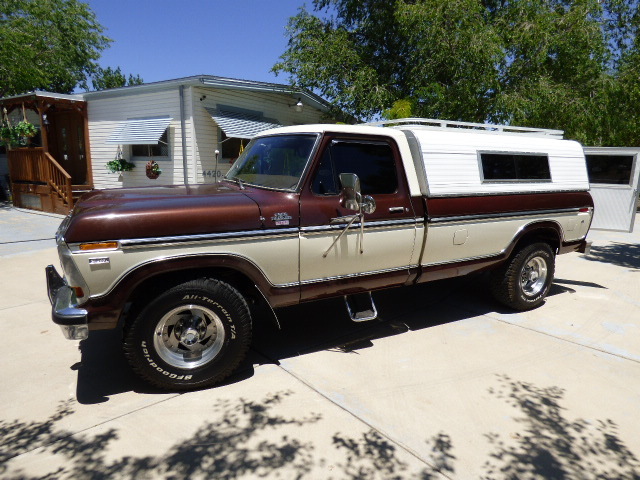 For sale by second owner and he has an extensive and well documented history of the truck. The truck is solid and well maintained. A rare example of a limited production F-350 that has not been ridden hard and put away wet. This is an opportunity to have one of those vehicles that has been such a useful treasure to the folks who owned her, they treated her like family! The Mountaineer Camper is in excellent condition, like new. Aluminum, insulated and paneled with an option roof-rack. Limo Tinted Windows on the camper with dual interior 12 volt lights and an exterior porch lamp. It has a slider front window, single entry full size locking rear door. The bed is all carpeted with padding. Locking Hood Latch Option. Be sure to Scroll Down to see all this deal has to Offer. Interior is in incredible survivor condition. Very clean and well taken care of. Factory slider rear window. Flex Steel Captain's Chairs and console upgrade. 3 Port 12v Accessory Outlet. In Cab Adjustable MSD Timing Control Module. Overhead Console (Custom Made) includes: Tachometer, On Board Travel Computer, Digital Engine H2O Temp Gauge/ Trans Fluid Temp Gauge, Sony AM/FM Cassette Stereo with Custom Mounted Speakers (Factory AM still in Dash), CB Radio, Vacuum Gauge, Interior/Exterior Ambient Temp Gauges. Be sure to Scroll Down to bottom for all pictures and info. Very original and well maintained. A/C recently serviced (R-12). Dual batteries and Isolator. Comes with all the other "Camper Special" amenities, all in excellent working condition. Factory Jack, New Coil, New Plug Wires, New Air Filter Element, New Platinum Plus Spark Plugs, New Cap and Rotor. Transmission completely serviced, New Fluid, Filter, Gasket, Torque Converter Drained and filled. Cruise Control currently no-op. Vehicle comes with lots of documentation. Be sure to Scroll Down to see all the pictures. Nice (NEW) Wheels and Tires. There are lots of other Wheel and Tire Combinations Available and may be Included if Buyer is Interested. HD Towing Capacity. Four Leaf Helwig Helper Springs in addition to the Camper Special HD Suspension. This Truck Does Not Squat Down with a Load On. Many Books, Manuals, and Wiring Diagrams are all Included. Be sure to Scroll Down to see all this deal has to Offer.